Mary Loveless, LMT, PTA, C.Ped. 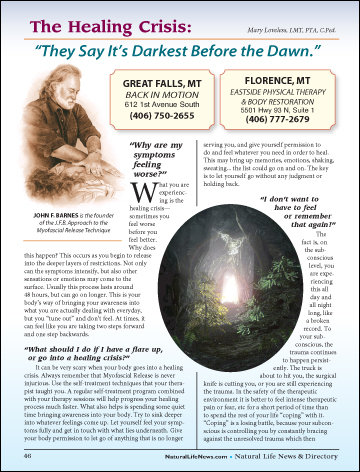 “Why are my symptoms feeling worse?” What you are experiencing is the healing crisis — sometimes you feel worse before you feel better. Why does this happen? This occurs as you begin to release into the deeper layers of restrictions. Not only can the symptoms intensify, but also other sensations or emotions may come to the surface.